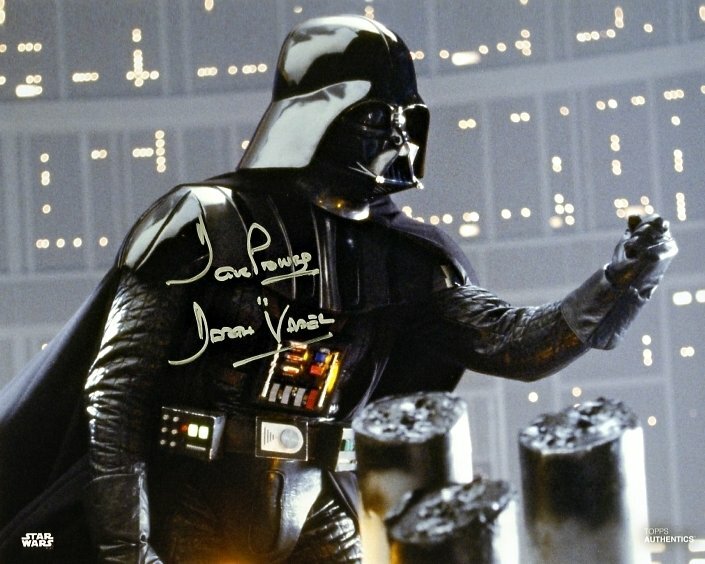 TOPPS OFFICIAL 8x10 Darth Vader photo signed by Dave Prowse. Dave signed in silver ink. He has now stopped signing, so this is a super rare collectible. Please note we had more than one of this photo signed by Dave, so the signature on the one you receive may vary slightly, but will be the same ink color shown. There are a limited number available and when they have sold that's it.